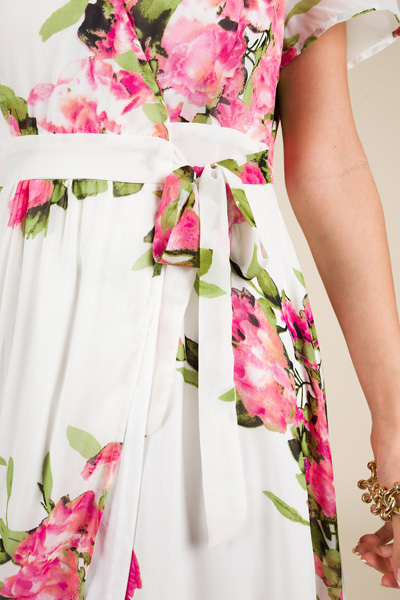 Every girl knows the wrap dress is the secret weapon to instantly looking slim! This one is made from an airy fabric that gives the dress a romantic look. Maxi has a true wrap shape with a snap in the neckline to hold it in place. Maxi is lined. Fit is true to size. Jordyn is wearings size small. Length measures approximately: S=55.5" M=55.5" L=56"